I first became aware of Sam Kieth’s curious artistry when the animated series of his The Maxx comic was shown late at night on TV during my teens. I’ve followed him on and off ever since, most recently with his 2 issue Lobo: Highway to Hell series for DC. He’s also worked on The Sandman, as well as with Batman and Wolverine over the years. I guess he’s more known for the offbeat works that suit his unique sketchy style however, such as Epicurus the Sage and Zero Girl. Unfortunately his website is inactive, so this attractive hard cover sampling of his work is a great place to start. IDW do have it in them to make well presented, stylish art books like this, as their Sparrow series of books (the latest one is centred on artist/designer Pushead) and their handsome tome covering the first decade of their own publishing history prove. Their quirky series such as ZVR Aventure (no, that’s not a spelling mistake) show that the decision makers behind IDW are indeed brave enough to produce non-standard comics. 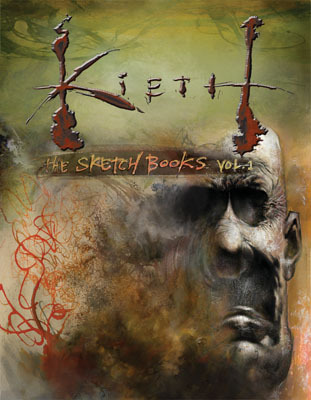 So, a book on Sam Kieth then seems like a logical step. Whether this is part of a series as the Vol. 1 subtitle indicates remains to be seen, but if so, it’s off to a good start. Sure, it’s only 48 pages, but the oversized format and replications of Kieth’s sketchbook, (with dirt, scribbles, and all) works well. 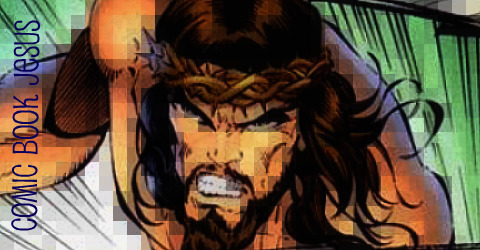 One look at Kieth’s artwork is all you’ll need to know if you’re a fan. There’s much diversity in these pages, and some minor comments from Kieth on the odd page. There’s a few pages dedicated to fashion, some to Japanese inspiration and several visual ideas on a film called Four Women he was once going to direct. 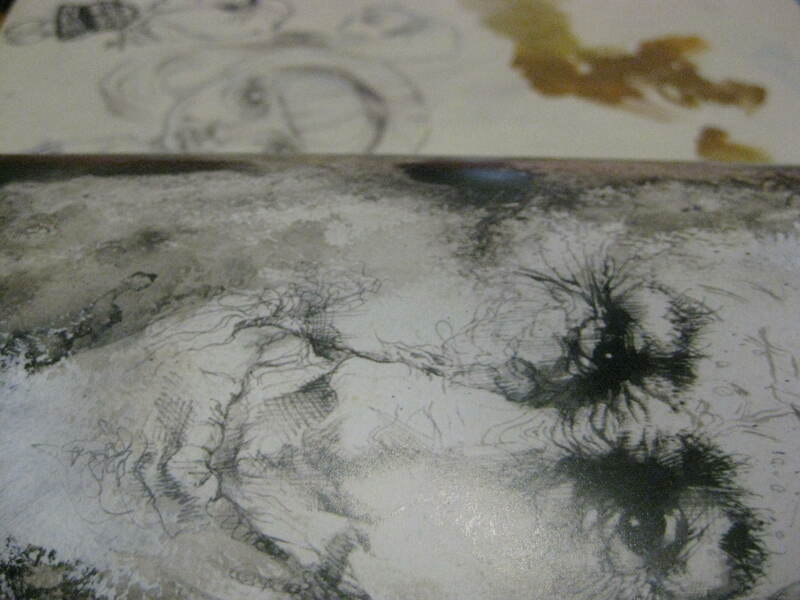 The different media used include paint, watercolours and pen and ink. Busy pages are sandwiched by superb examples of minimalist landscapes and flowing lines. This is $10, sure, but it’s a book you’ll certainly look at more than once. I was just checking out you blog, and I’m really enjoying it. 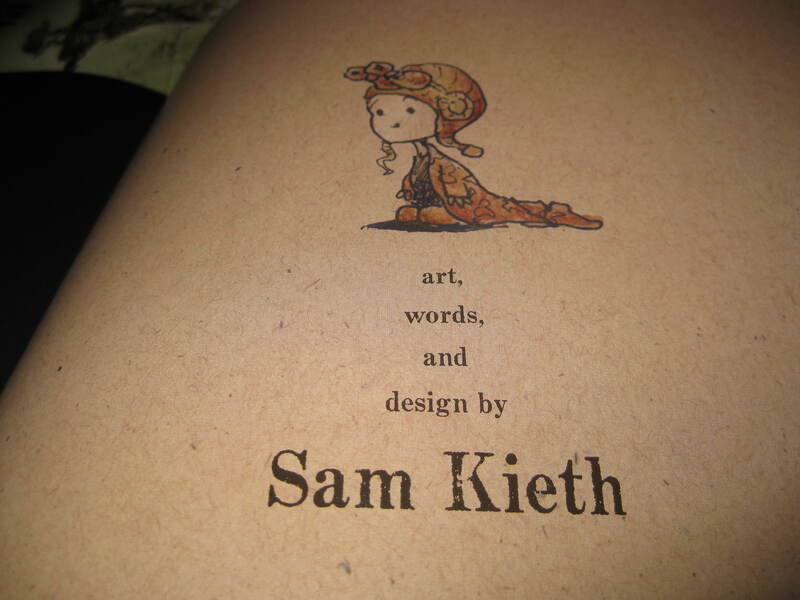 I may have to get that Sam Kieth art book. I don’t know if you’re interested, but I’ve just completed a series on my blog on the 100 best comic book covers. It’s a little heavy on Dave Johnson and Dave McKean, but I think its a good list. Check it out, if you want. Sam Kieth gives me so much joy. Thanks for the headsup, is it being offered in previews now? It’s actually on shelves now, so grab it I say! What I love about sketchbooks is that they give us an insight of how the mind of the artist works, and what’s his process. It’s very subtle, but sometimes I do like sketches more than finished illustrations. The Sam Kieth sketchbook really delivers (and even more considering it’s so cheap). His artwork is awesome. I would’ve loved to see some Maxx or Julie sketches in there (maybe I missed them, or maybe they’re going to be on the #2), but I was impressed with this sketchbook. Sam also mentions in the introduction of this sketchbook that we should be expecting a full artbook in the future. 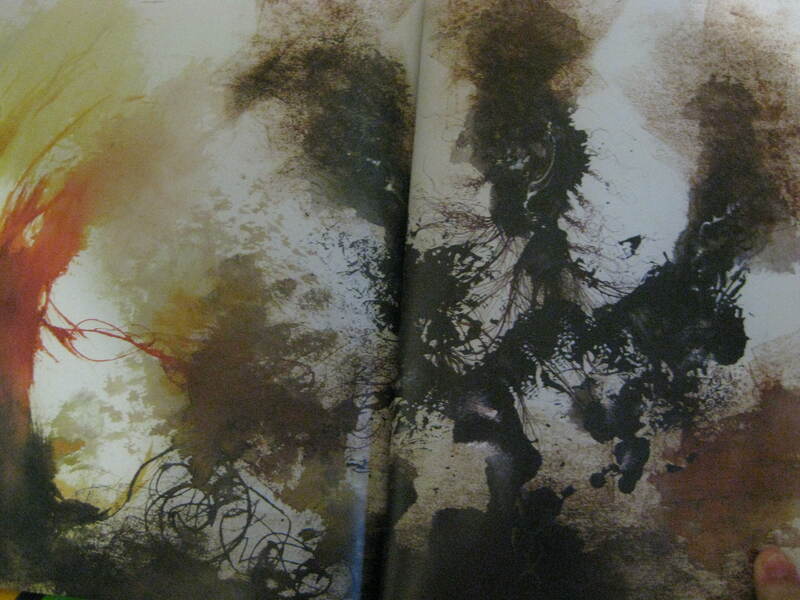 I hope that future comes soon, as a full “the art of Sam Kieth” book would be completely amazing.